Happy Wednesday, y'all! This is my last week off from work and I'm so excited to go back! If you're new around here, I work at an afterschool enrichment program for at risk youth in grades kindergarten through fifth grade. We received a new grant this year so my title has shifted to STEM Coordinating Facilitator (I think that's right, lol) and I'll have another STEM teacher working with me this year. I formally taught third grade for four years but as of Monday, I'll be starting my seventh school year at The Dream Center! I can't believe it's been this year but honestly, it's my dream (no pun intended) job! I'm so thankful for a rewarding career! 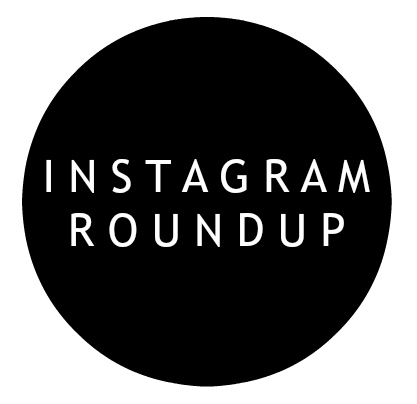 Today, I'm sharing my weekly roundup from Instagram. 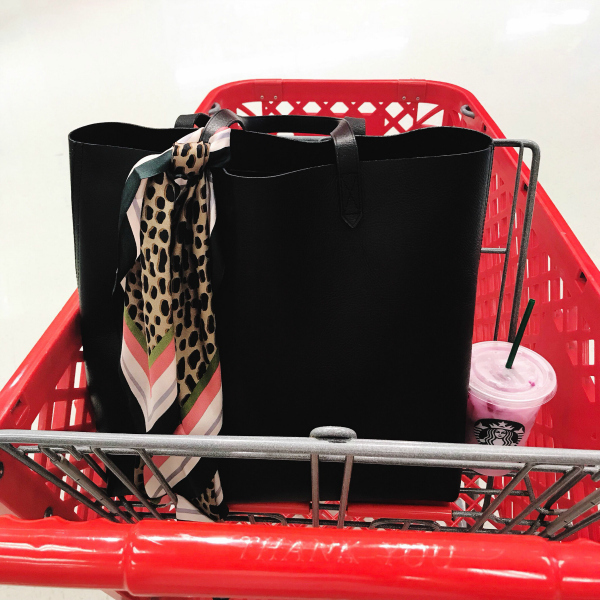 I'm basically still living in black, white, stripes, and leopard pretty much every single day! 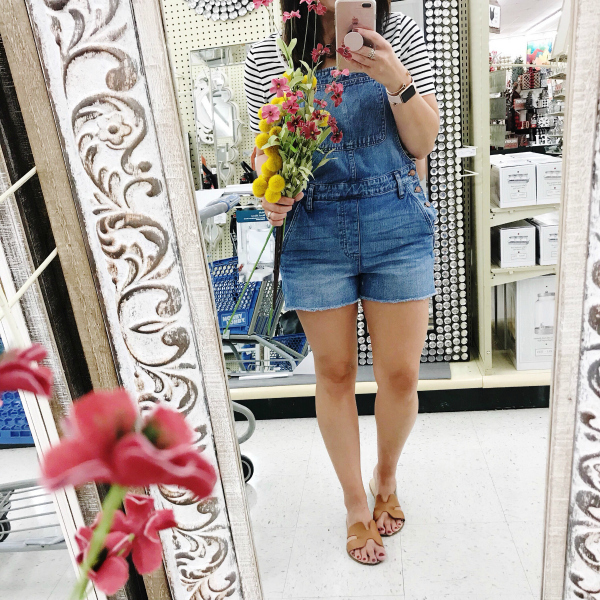 Hobby Lobby has the best mirrors! 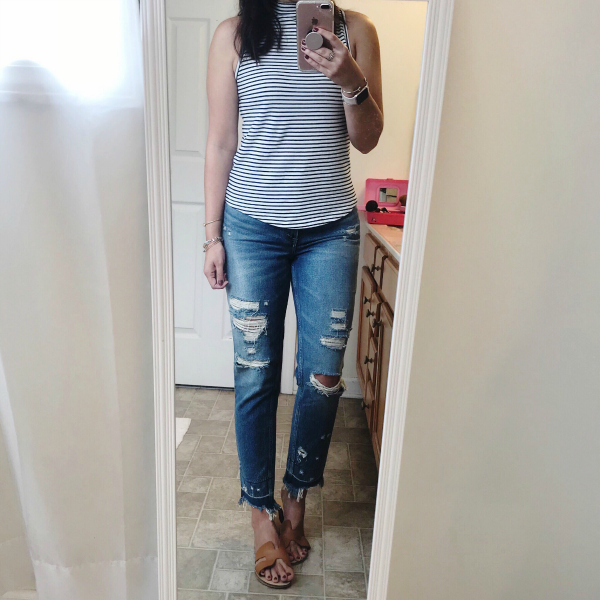 I am currently hunting for a great mirror for my bedroom and I am really loving this one. 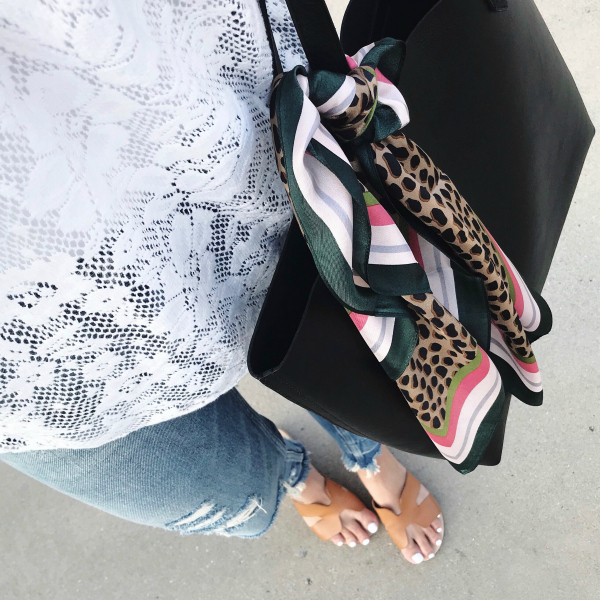 I love mixing lace and distressed denim together! It's such a fun, unexpected combo. See, I told you I was loving black and white right now! I love wearing sneakers with skirts and dresses. This new pair is so comfortable, too! 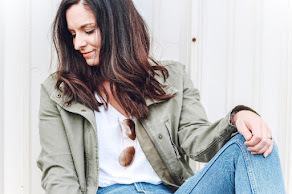 I wore this outfit to the playground with my girls last week and I was certainly the only parent on the playground in distressed denim. It's okay to stand out! I clearly also really love this bag! The leopard scarf tied on makes it even better. 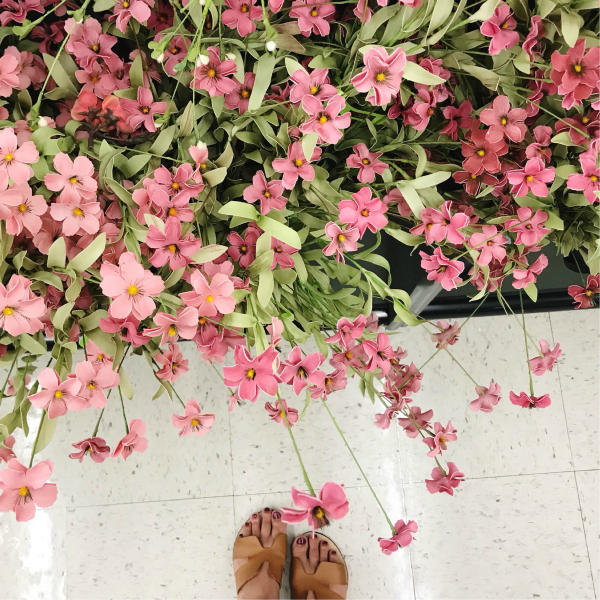 I was the crazy person taking photos of faux flowers in Hobby Lobby last week. But, they all looked so real, lol! I love flowers... even fake ones. Thanks so much for visiting! Have a wonderful day!